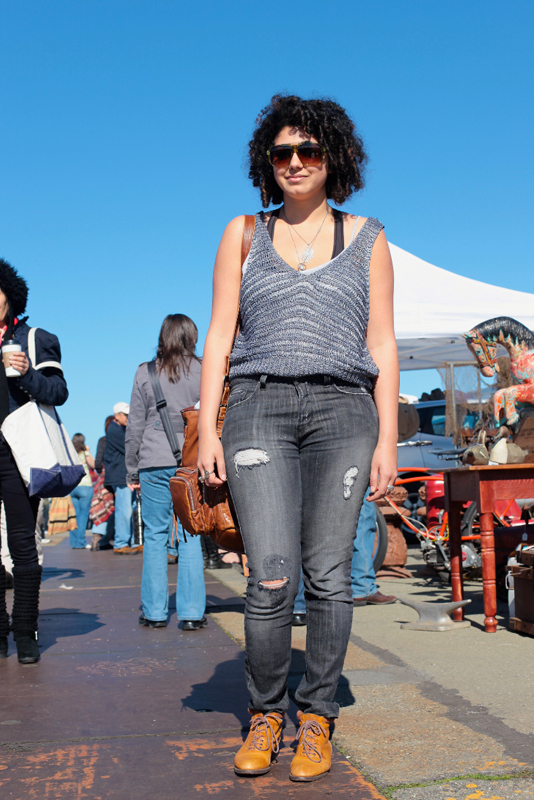 "I just look at a lot of style blogs and that's about it." 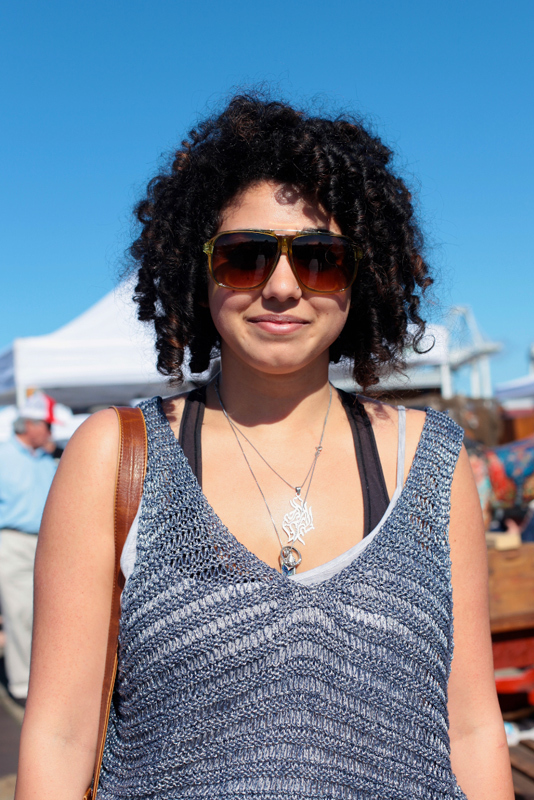 I like the chainmail look of her sweater, how she's layering it with a beater, her hair, and those sunglasses that may or may not be aviators. 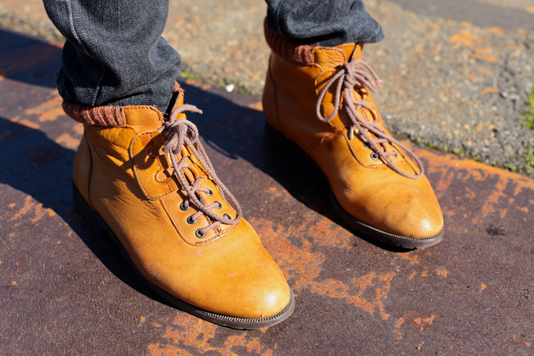 Booties that are pretending they are construction worker boots. i'm from spain, you have a pretty blog, I follow you.